With the proliferation of phones and other mobile devices capable of taking video, students and teachers have the opportunity to quickly and easily become video producers. Many people who take these videos are using YouTube as a host for their movies. However, most people are unaware of all of the great, free editing and publicity tools available through YouTube. The next several TechToolThursday posts will focus on these great tools, and by the end of the month, you’ll be a YouTube expert! If you have a Gmail account, you have a YouTube account. The first time you log on to YouTube with your Gmail account, you’re going to want to set up your channel. There are many ways that people can find you on YouTube, and one of the best ways is via your channel. To access your channel, click your username in the top-right hand corner. “My Channel” should be your first option. 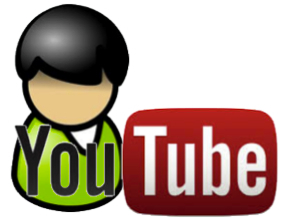 Before setting up your channel, though, you’ll have a decision to make: connect your YouTube account to your Google+ account. I’m not 100% sure I understand the inner workings of it, but what I’ve been able to gather is if you connect your Google+ account, the only way you have control over what to name your channel is if you first set up a Google+ page (not profile) and link those. 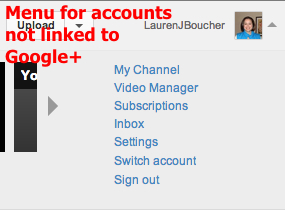 If you just link your Google+ profile, your channel name will automatically be your name. I like the freedom to name my channel what I want, so I chose to set up a Google+ page and connect those. On my school account and channel, I decided not to link at all. Last year, YouTube added a whole slew of options for your channel including channel art, featured links, featured channels, a channel trailer, and a few other “sections” that you can use or not. Here’s a screenshot of my channel. 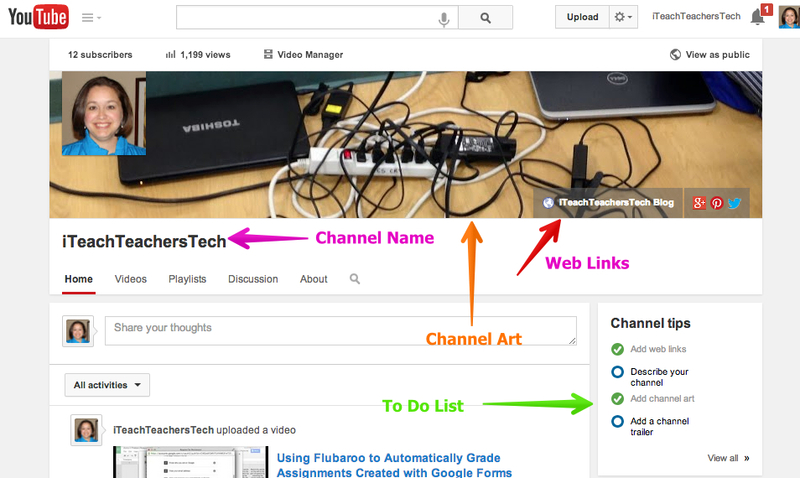 I haven’t gotten around to adding a channel trailer to iTeachTeachersTech, but I do have one on my school account, Going 1 to 1. All of these features should be used to show viewers what your channel is about, as well as give them a little bit of insight into you as a teacher (or whatever your theme for your channel). As a teacher, I would use my channel trailer as a way to introduce yourself to your students and parents. Some parents may not be able to make it school, and having a YouTube channel and trailer will allow them to put a face and a voice with a name. Don’t use images of your students in your channel art as that may break a district policy. I used an image of a bunch of laptops plugged in at a staff development session because I’m usually plugged in to something. Do you have a class website or blog? Go through the steps of verifying an external link that you own and link to it from your featured links. Use the social media buttons to connect to your class Twitter, Pinterest, or Google+ page. Get creative! Editing your channel is easy. As you hover your mouse over the different sections of your channel, a small pencil icon will appear in the upper, right-hand corner. By clicking on that pencil icon, you are able to upload pictures and add links. My challenge to you this week is to go ahead and set up your YouTube channel. Upload a picture of yourself and set your channel art. Use an iPad app like Tellagami or some other video recording tool like your phone, to create a trailer for your channel. When you’ve done that, post a link to your channel in the comments below. Be sure to check out how upload videos to your channel and how to trim your videos using the Trimmer tool. Other posts in this series will include using the Video Editor to combine video clips and add titles and music, adding annotations to your videos as a way of making them interactive, and I’ll finish up with a step-by-step guide to creating awesome, engaging, interactive videos for your students and parents.